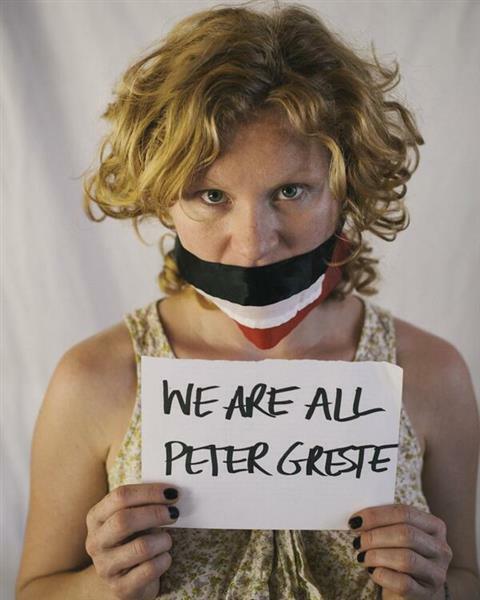 His family tweeting on behalf of Peter Greste. They are in the courtroom. CNN's Ian Lee in Cairo reports on Al Jazeera staff trial going on. 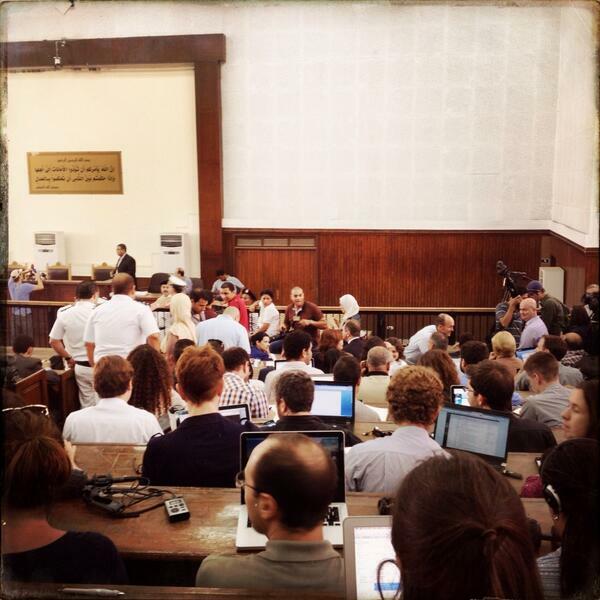 Journalists in courtroom report ambassadors from UK and Canada are there. 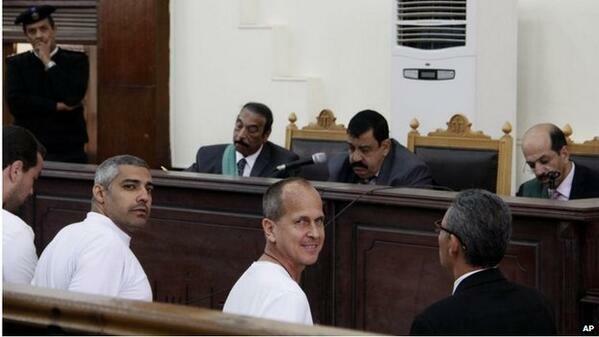 The three Al Jazeera journalists are now in the dock in the courtroom. 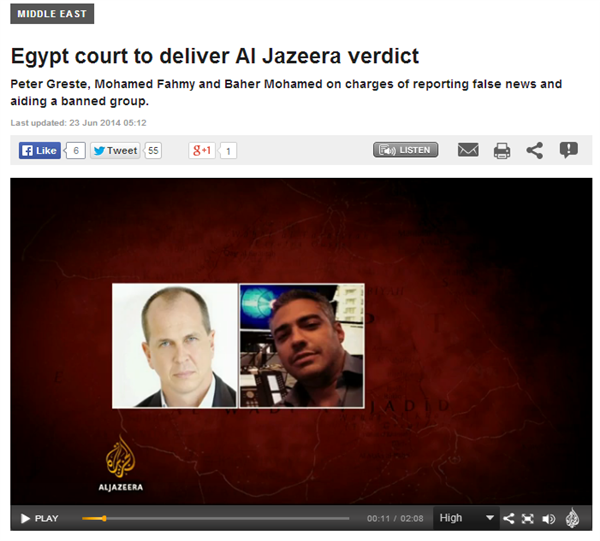 Al Jazeera's Gerald Tan reports on the expected verdict on Al Jazeera journalists imprisoned in Egypt. 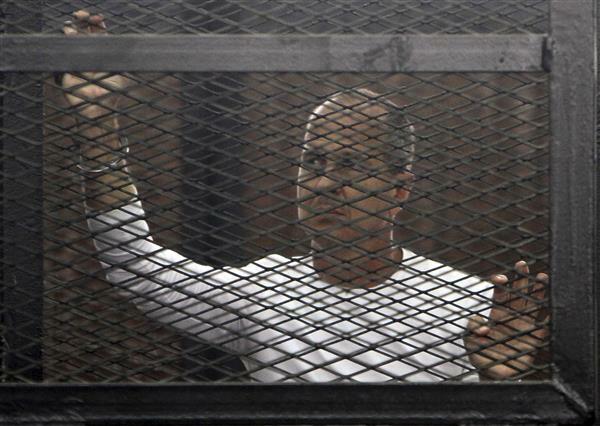 The family of Al Jazeera journalist Peter Greste have welcomed the news that an Egyptian court will rule in the case involving three Al Jazeera journalists on trial next week. At a news conference in Brisbane, Peter's brother Andrew Greste welcomed the news that a ruling would be announced next Monday (June 23). 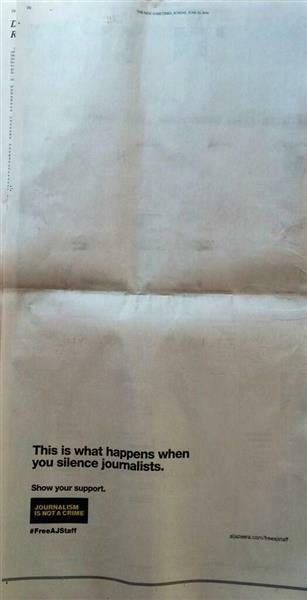 "Something that we've been calling for and hoping for a lot sooner than this. We've always backed Peter's, I guess, his case and his innocence and we're very confident that he'll be exonerated," Andrew Greste said. Human rights groups say the case shows authorities are trampling on freedom of expression. 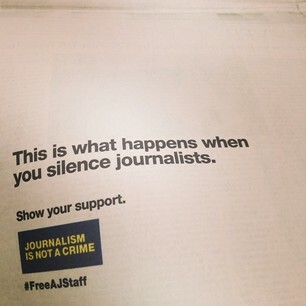 Al Jazeera English journalists Peter Greste, Baher Mohamed and Mohamed Fahmy have been detained for 171 days, and Al Jazeera continues to call for their freedom. Egypt has asked YouTube to remove a video showing a naked woman with injuries being dragged through Cairo's Tahrir Square after being sexually assaulted during celebrations for Abdel Fattah al-Sisi's inauguration. 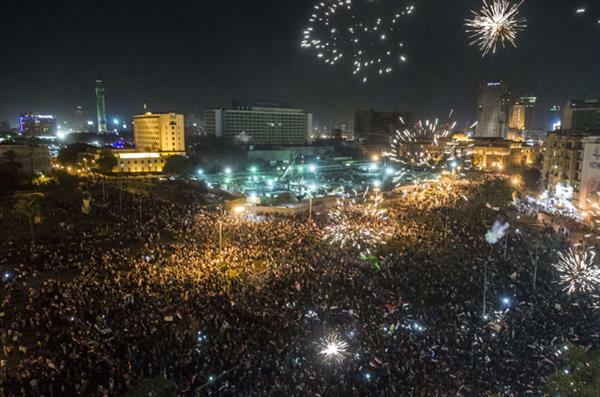 The Sunday night's assault took place as thousands of people enjoyed inauguration festivities, raising new worries about Egypt's commitment to fighting sexual violence. 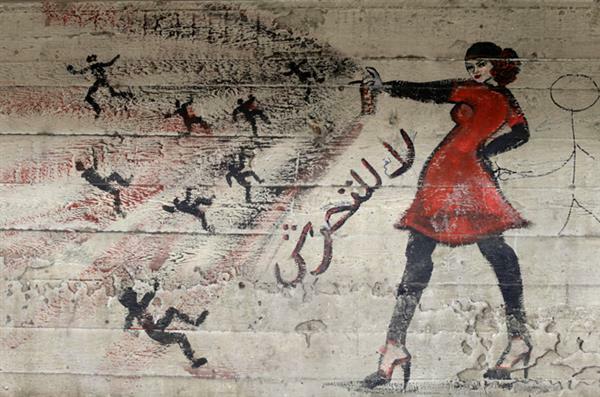 Authorities arrested seven men aged between 15 and 49 for sexually harassing women on Tahrir Square after the posting of the video, which caused an uproar in local and international media. It was not clear whether the men arrested took part in the assault shown on the video. "The Egyptian embassy in Washington DC and a number of Egyptian authorities, at the direction of President Abdel Fattah al-Sisi, have requested the YouTube administration to remove the video of the sexual assault victim," Sisi's spokesman said on Friday. 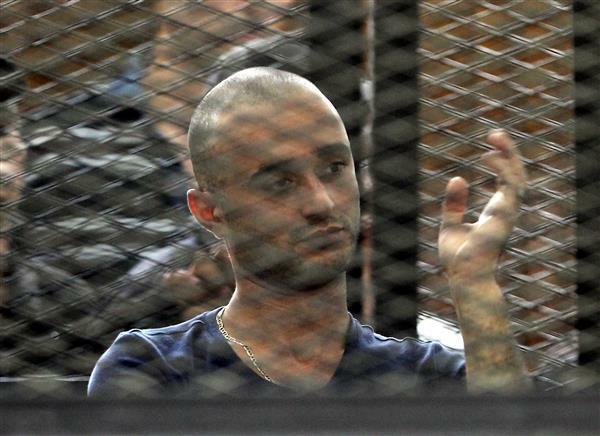 The British Foreign Office has expressed concern after the sentencing of dozens of activists by a Cairo court. Foreign Office Minister for the Middle East Hugh Robertson said Alaa Abdel Fattah and other activists had been charged in relation to their "participation in a peaceful protest". 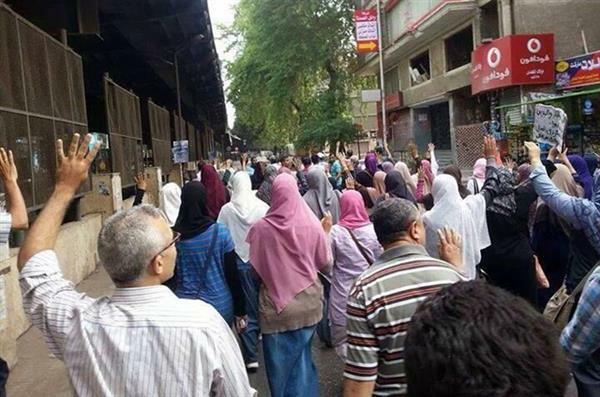 Robertson was in Cairo when the protest happened in December. "Egypt’s constitution rightly demands respect for freedom of expression and association and I call on the new Egyptian government to ensure that they implement these rights for Egyptian citizens,"
he said in a statement on Thursday. 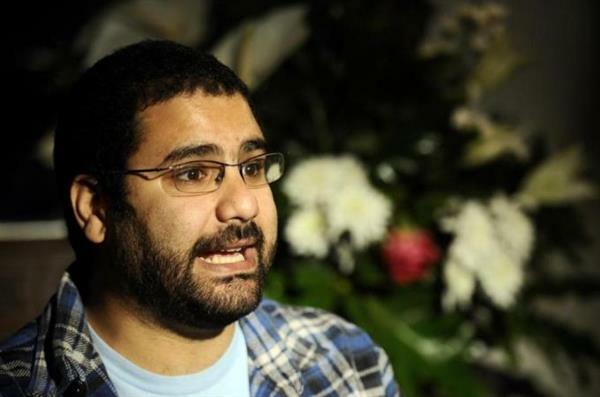 An Egyptian court sentenced leading activist Alaa Abdel Fattah to 15 years in jail on Wednesday for violating a protest law and other charges, his lawyer said. Abdel Fattah was one of the most prominent activists in the 2011 uprising against President Hosni Mubarak. 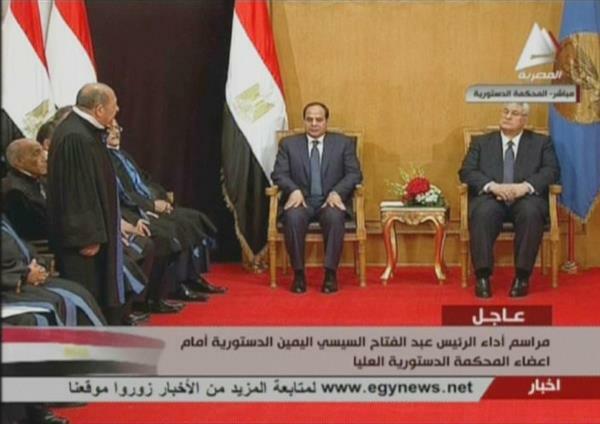 The ruling came three days after former army chief Abdel Fattah el-Sisi was inaugurated as president. A video has emerged purportedly showing the teenager, bloodied and naked, surrounded by dozens of men. Seven men were arrested in connection with the assault and police were investigating 27 other complaints of sexual harassment against women during Sunday's rallies by tens of thousands of people celebrating Abdel-Fattah el-Sissi's inauguration late into the night, security officials said. The Interior Ministry, in charge of police, identified the seven suspects and gave their ages as between 15 and 49. It said they were arrested for "harassing several girls" but made no mention of the student. Sexual violence has increasingly plagued large gatherings during the past three years of turmoil following the 2011 uprising that ousted autocrat Hosni Mubarak, and women's groups complained Monday that tough new laws have not done enough. Egyptian President Abdel Fattah el-Sisi warned on Sunday, hours after being sworn in, that there will be "no leniency" for those who commit acts of violence. 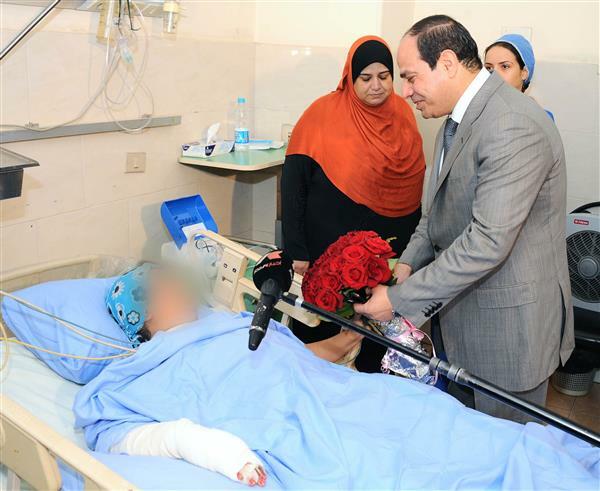 In a televised address to the nation, Sisi promised to work toward "reconciliation" but not with those who have "shed blood". 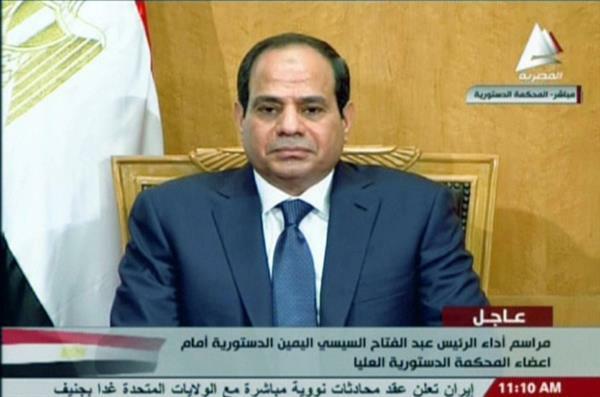 Sisi said there will be "no leniency and truce with those who resort to violence". "I am looking to a new era built on reconciliation and tolerance... except with those who committed crimes or used violence as a tool," he said. 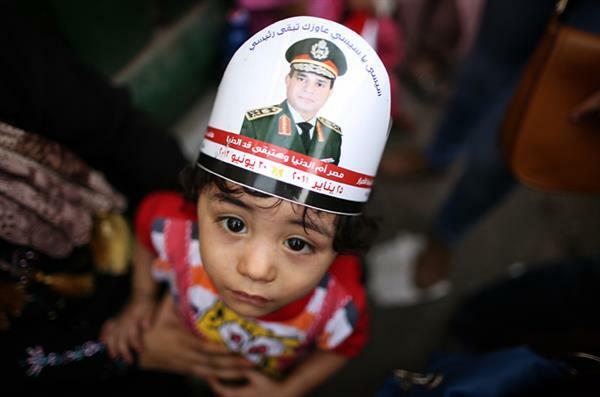 Security tightened across Cairo for inauguration of retired field marshal declared winner of recent presidential vote. Egypt has banned unauthorised preachers from giving sermons or teaching Islam in mosques and other public places, according to a decree on Saturday marking a further step in official efforts to curb opposition Muslim Brotherhood's influence. 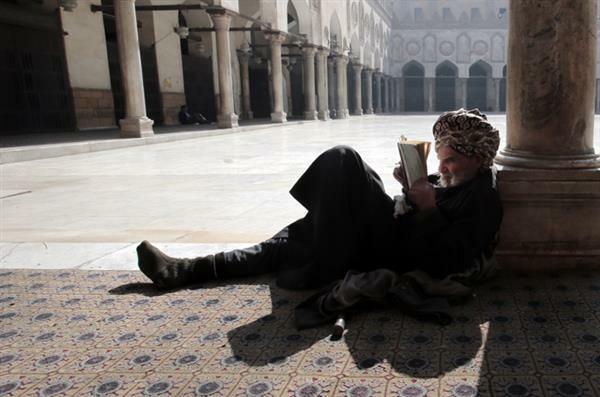 The decree, according to the Reuters news agency, issued by interim President Adly Mansour's office also threatened fines and jail for freelance imams, especially if they wore clerical garments associated with the respected Al-Azhar centre of Sunni learning in Cairo. Egypt and the United Arab Emirates announced on Saturday that they had contracted a state-run company headed by a retired Egyptian army officer to build wheat silos that are a key part of the UAE's $4.9bn aid package to Cairo. An Egyptian court postponed to July 5 the verdict in the trial of Muslim Brotherhood leader Mohamed Badie and 47 others for inciting violence that killed two people last summer. The same court sentenced to death 10 defendants who are on the run on Saturday, and a final ruling on their cases is also expected on July 5. 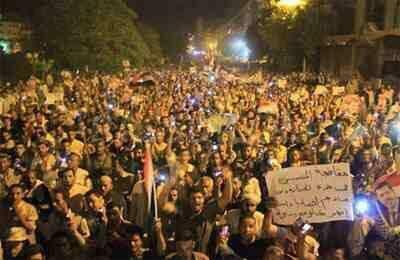 After the army ousted Islamist Mohamed Morsi last July, Badie was one of thousands of the deposed president's supporters arrested in a crackdown that also left more than 1,400 dead. He is being tried in nearly 40 cases, all of which potentially carry the death penalty, and has already been sentenced to die in one case. An Egyptian official says an appeals court has upheld a five-year sentence for a Coptic Christian author convicted on charges of contempt of religion. The official says the court in Beni Suef, south of Cairo, on Thursday confirmed the original sentence for Karam Saber. The official spoke on condition of anonymity because he wasn't authorized to talk to media. Reporters Without Borders has called on Egypt's President-elect Abdel Fattah el-Sisi to guarantee freedom of press during his rule. The letter says Egypt had become one of the three most deadly countries for journalists in 2013 and added journalists deemed sympathetic to ousted President Mohamed Morsi were targeted for their political views. 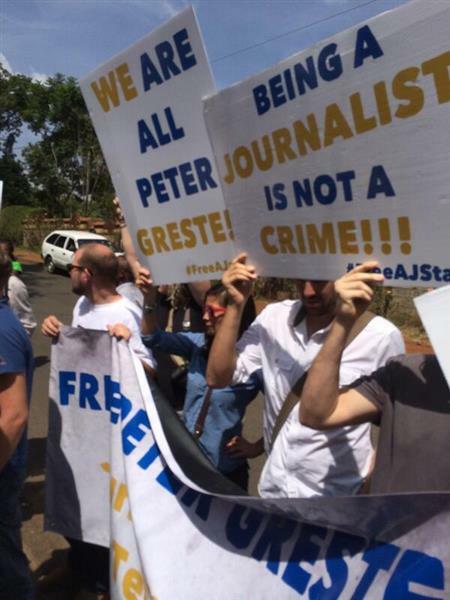 The message signed by the organisation's secretary general, Christophe Deloire, also called for the release of 17 journalists imprisoned by Egyptian authorities, including four Al Jazeera journalists. "Reporters Without Borders reminds you that, like other citizens, journalists must be treated fairly and justly, in ways that respect national and international judicial standards," he said. Outgoing president issues decree criminalising sexual harassment that is punishable by up to five years in jail. Interim President Adly Mansour passed a law for parliamentary elections guaranteeing at least 12 percent of seats to women and four percent to Egypt's minority Christians. The legislative polls will be the final stage of a "roadmap to democracy" announced by former army chief Abdel Fattah el-Sisi, who himself was elected president last week. 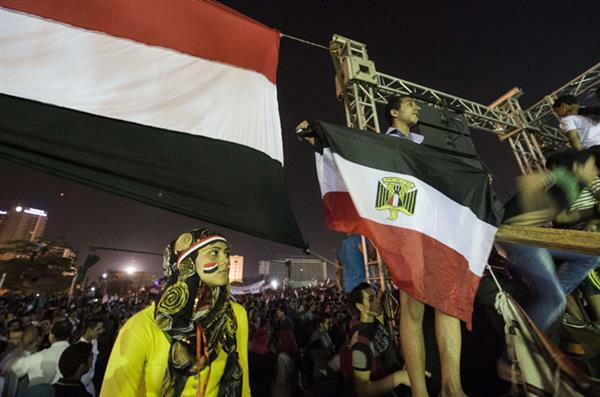 He unveiled the roadmap after deposing Egypt's president Mohamed Morsi last July. The presidency, in a statement, said that under the law passed by Mansour, who has the power to legislate in the absence of parliament which has been dissolved, the house will be made up to 567 members, of whom 540 will be elected and the rest named by the president. Twenty-four seats will be reserved for Coptic Christians and 70 for women, in keeping with Egypt's constitution, the president's office said. It said the law would allow the electoral commission to set a date for legislative elections. 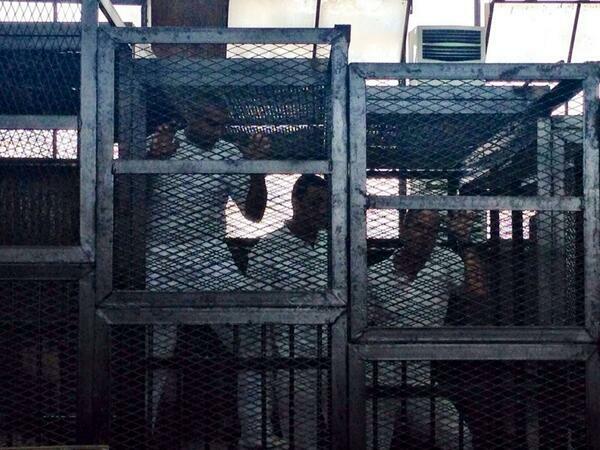 This video shows Al Jazeera's Peter Greste, Mohamed Fahmy and Baher Mohamed standing in the cage along with co-accused during today's trial. The trial has been adjourned till 16 June. 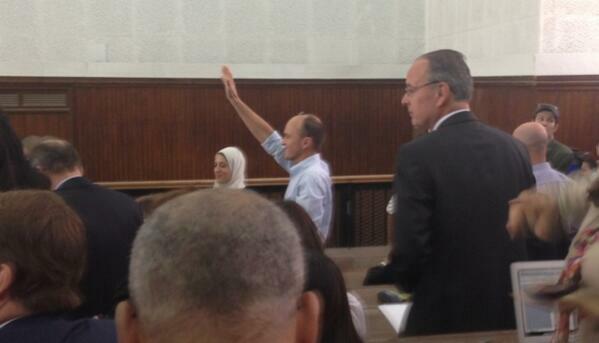 #AJtrial – Adjourned till 16 June. No bail. 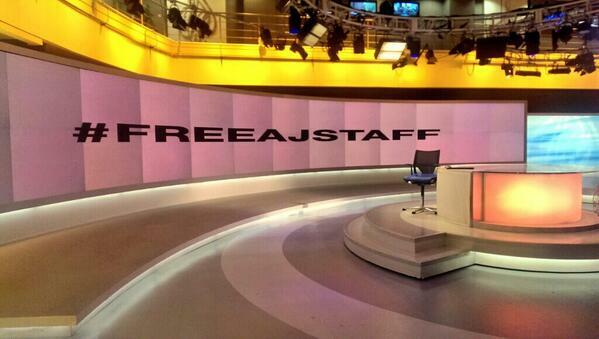 #AJtrial – Defence: al-Jazeera English was not banned in Egypt – only the local Arabic channel, al-Jazeera Mubasher Misr was. #Ajtrial – Defence: The equipment supposedly belonging to @Repent11 etc actually belonged to AJE as a company, as the company itself says. Egypt's outgoing interim president said on Wednesday the public must rise to its responsibilities in the face of enormous challenges in a country that has been scarred by violence, a dilapidated economy, political confusion and international conspiracies threatening its identity and territorial integrity. Saudi Arabia's King Abdullah hailed as a "historic day" the election of Egypt's ex-army chief Abdel Fattah el-Sisi as a president. The king said Sisi's sweeping win with 96.9 percent of the vote represents a "historic day and a new stage for Egypt," in a telegram published by SPA state news agency. He also invited countries to attend a donor conference for Egypt. 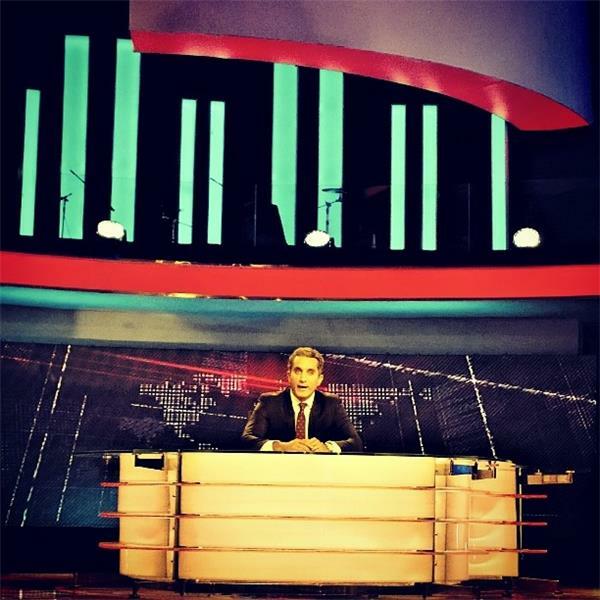 Egyptian satirist Bassem Youssef says popular TV show is ending because the climate in Egypt is not suitable for satire. Bassem Youssef, known as the "Egyptian Jon Stewart", told a news conference on Monday that the station that hosted him, the Saudi-owned MBC Masr, had been put under more pressure "than it could handle." I'm tired of struggling and worrying about my safety and that of my family.